The deadline for applications is December 31, 2016. These travel grants are for non-students only. If you are an indigenous person and are either (1) a full-time student at a 4-year institution, OR (2) a student at a 2-year minority-serving institution, including tribal colleges, you can apply for a George Melendez Wright Student Travel Scholarship. Items marked with an asterisk are required fields. Native Participant Travel Grants are offered to Native people from Canada, Mexico, or USA only. Please select your country of residence above. You may be asked to supply an endorsement from your community in addition to this application. Please have this information on hand should the committee ask you for it. Making a presentation is not required in order to apply for a Native Participant Travel Grant, but those who plan to do so receive extra credit on their application. 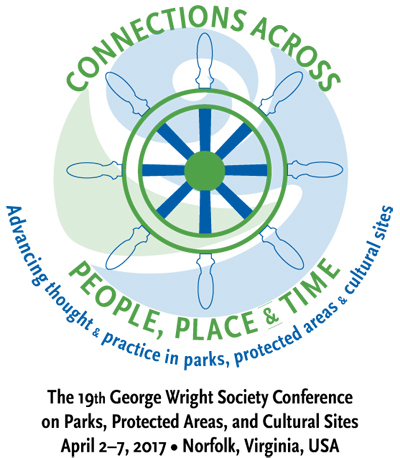 Note that the deadline for submitting proposals is September 30, 2016 — see http://www.georgewright.org/gws2017_cfp for details. The application should express the voice of the applicant, and convey your engagement with relevant issues, your commitment and contributions, and how you would benefit from attending the conference. * How attending GWS2017 will help you meet your personal or community goals. Grant recipients will be asked to complete an evaluation and commentary form at the end of the conference. We will ask for your comments on the conference and the GWS organization, their usefulness/relevance to you, and your suggestions for how we can fruitfully address the topic of Native peoples and protected lands in the future. These comments will be compiled to guide the organization and report to funders, as well as to craft our future requests for funding in support of Native participants. Use this box to give us any special instructions or requests.